Finding quality family dental care services is definitely recommended if you have a family who is in need of a new dentist. A dentist who treats the entire family offers general oral care services for their patients. They can treat any age group, during any stage of life, making a family dentist someone who can provide dental care services for both children and adults. 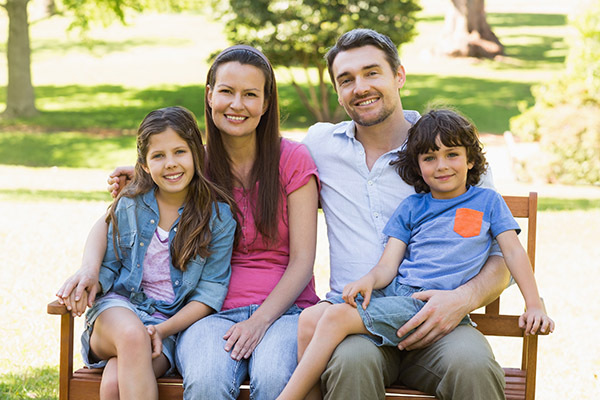 Important qualities you want to be able to find in a family dentist include being trustworthy, dependable and truly caring about every single one of your family member's good oral health. Common service #1 — regular dental cleanings. A regular dental cleaning is extremely important to every family member's good oral health, as it will remove any plaque or tartar buildup that may lead to cavity formation. Common service #2 — dental fillings. Fillings are commonly performed on dental patients who have cavities. Common service #3 — dental restorations. Restorations include providing patients with any crowns, bonding, etc. they may need. Common service #4 — fluoride treatments. Fluoride treatments are used to protect both adults' and children’s teeth. Common service #5 — orthodontic services. A family dentist can determine whether a dental patient is going to need braces. Common service #6 — advice. A family dentist can offer advice and tips on supporting good oral hygiene habits in children. Common service #7 — referrals to other dentists. When a family doctor is not able to provide a certain dental service, they will provide the patient with a referral to see a dentist who has been specially trained in the area needed. Have any questions about family dental care we can answer for you? If so, please do not hesitate to contact us, as we are here for you. We want you to have all the dental information you need so you can make dental-related choices for your family that will allow them to always be in good oral health. If you or your family members have not been to a dentist in a while, we completely understand how time gets away from you. Simply give us a call right now so we can go ahead and schedule a consultation appointment. Looking for FAMILY DENTAL CARE services near the 19390 area? Call Jenny Chen Pediatric and Family Dentistry at (610) 400-1588.